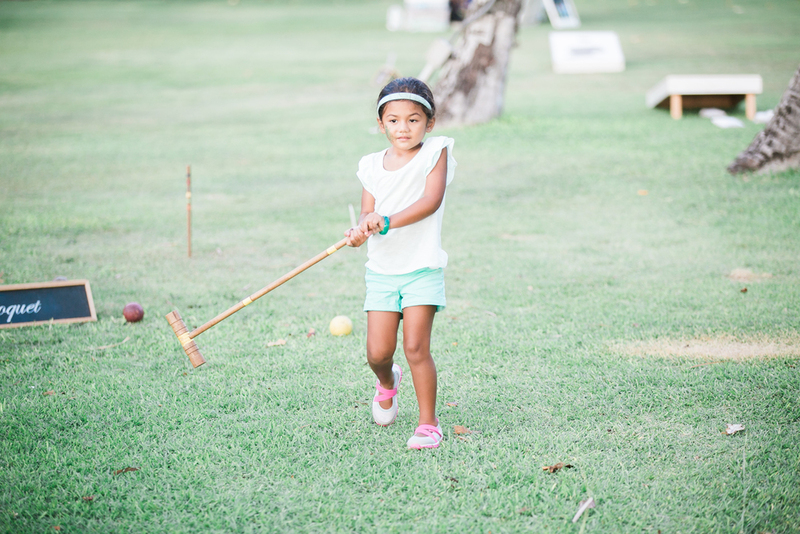 On August 7, 2016, over 100 wedding industry family and friends gathered at Lanikuhonua Cultural Institute for a fun filled afternoon & evening for Love Gives Hawaii Summer Dinner + Movie Night. The day started off with gray clouds and pouring rain all over the island (even on the West side!) but as the day went on the sunny skies appeared and there wasn't a rain drop in sight. 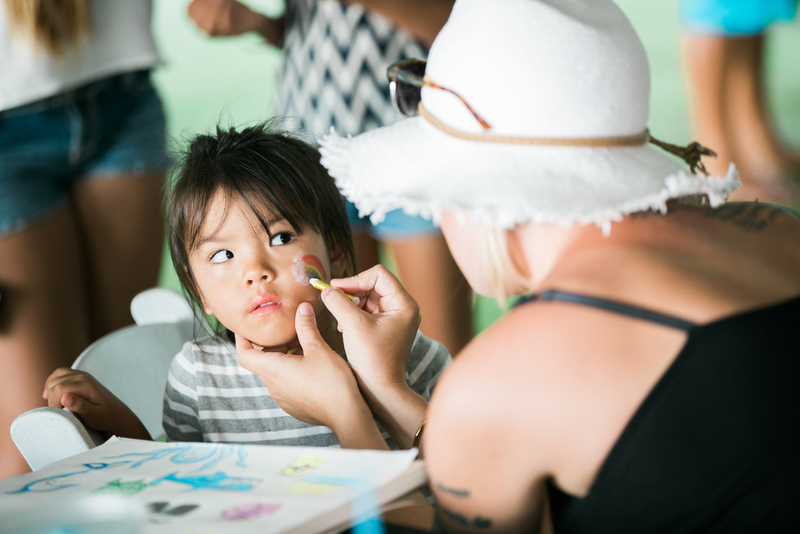 Everyone enjoyed yummy treats and snacks & there were awesome activities for everyone to take advantage of including: lawn games, photo both, hair braiding, glitter tattoos & face painting. As everyone settled on their lawn chairs & blankets to get ready for the movie viewing, we all enjoyed a beautiful "Lanikuhonua Sunset." We couldn't have asked for a more picture perfect backdrop. We all had an amazing time! Thank you for all the support & a special thank you to all our vendors that made this event a success!